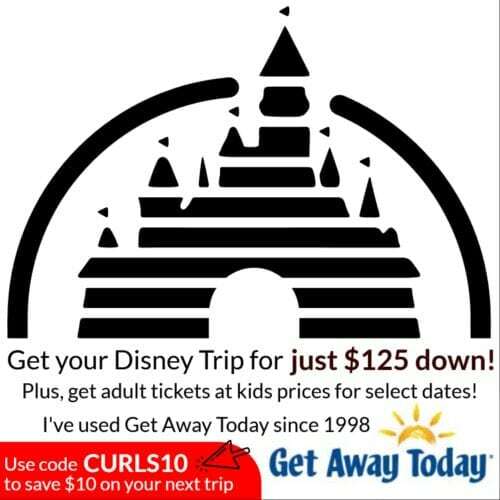 Wanting to plan the perfect Disney trip? These mistakes are FAR too easy to make. I’ve made them all before (except for #1, I’ve known that trick for a long time). These will truly make it the happiest place on earth! 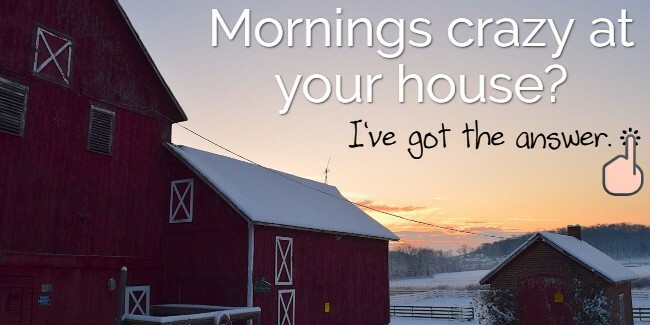 You waste time at the ticket window — early morning hours can be your most productive. I get my tickets from Get Away Today. You can both have the tickets sent to you, OR buy e-tickets, where they print your ticket at the turnstile. Want to know the cost of your trip upfront — be sure to check out my trip calculator. The Disneyland app is super important. How do you want to travel to the park — walk, shuttle or park? Do you need a pool? 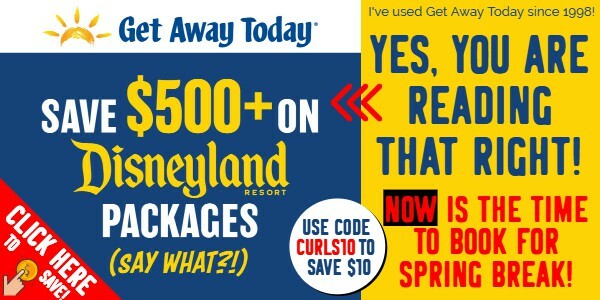 For me, I answer questions like this and then call Get Away Today — and then get their awesome advice (because, honestly, I swear they know everything about Disneyland). Then, I even book with their best price guarantee. Of course, now we want as close as possible, still a fridge and quiet rooms. So, each family has different needs at different times. 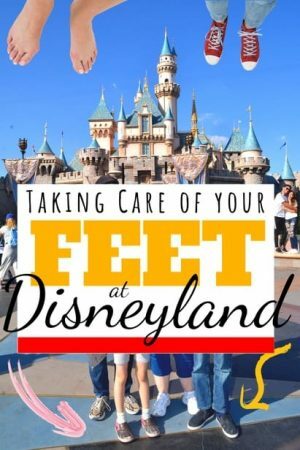 Bringing a few essentials to Disneyland will make your day SO much easier. 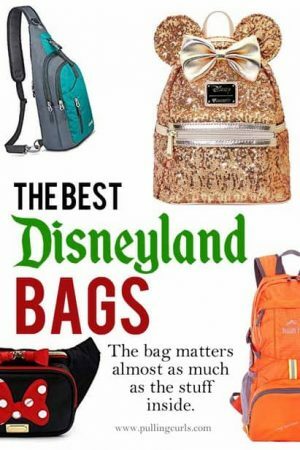 It will obviously depend on the ages of the people in your group — and I have a whole post all on what I bring in our backpack to Disneyland. Really think through what you’ll need, and pack your bag the night before. 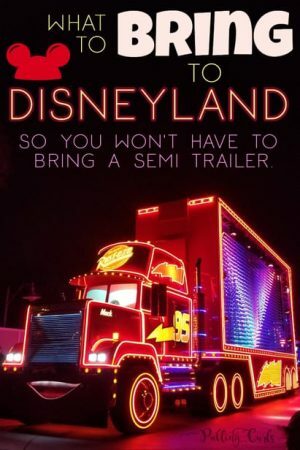 Also, make sure you bring the right things in your suitcase to Disneyland. There’s even a McDonalds that is pretty quick right by Disneyland, so that’s an option if you’d prefer. Have I said this enough yet? Arriving late to the park can be a huge mistake. Unless that’s your plan — and then do it. But, don’t just come late because you don’t want to. You can get through SO many more rides if you come early, vs coming later. It’s amazing. I’d say it usually extends the first couple of hours that the park is open. Plus, if you’re bone tired, it can allow you to go back to your hotel room and rest in the afternoon, early evening when you’re all tired. 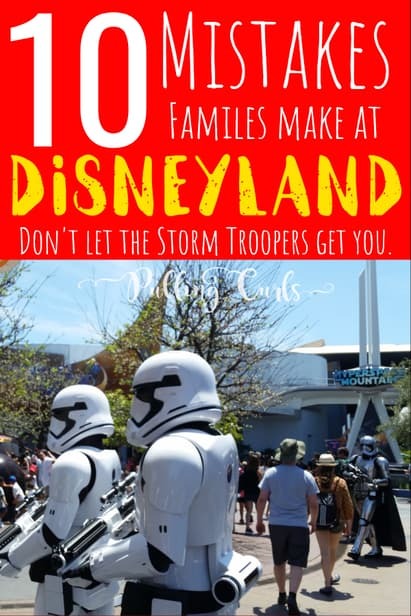 I do NOT believe you HAVE to use the MaxPass in order to be successful at Disneyland. You can certainly use Fastpass — but I recommend using one. Gives you day a gentle plan so that you’re not always wondering “what’s next”. 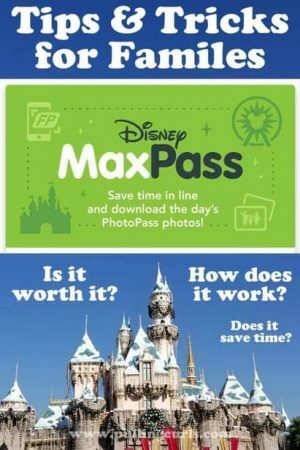 I have a post all on Maxpass Tips that will be super helpful! Having too little of a gameplan. 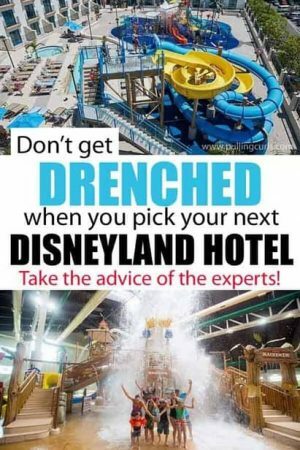 I’d certainly recommend downloading my Disneyland Day Planner, just to know which rides are the most popular and you should plan on doing early in the morning. You want a basic game plan so that you’re not wasting time figuring stuff out. Also, be sure to check out special seasonal options like at Halloween at Christmas. 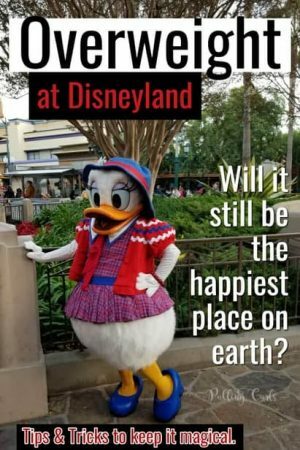 Some people might think they’re too overweight for Disneyland << but that post shows that it can be magical, no matter your size! I’ve done a touring plan where it tells you exactly what to do when. I think they ruin the day for me. Yes, I might get on a TON of rides, but the stress was just too much for me if we were “off schedule” — and if a kid REALLY wanted to ride close-by I was stressed out that it would throw us off. 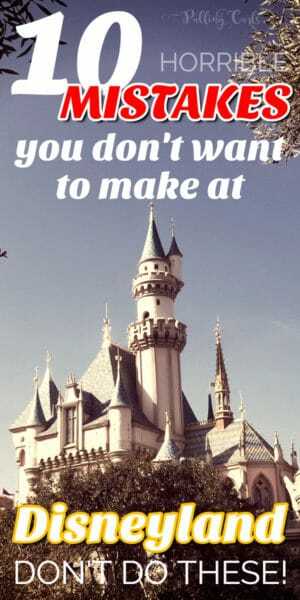 I mean, you have to remember that your goal at Disneyland is to have fun as a family, not to ride EVERY. SINGLE. RIDE. 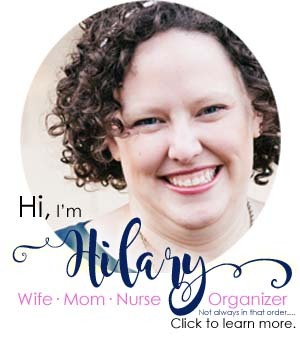 Focus on that, and you’ll have a great day — which I learned in this post on travling with control freaks (guilty). We kept going to the restaurant at Pirates, why, you might ask? Because it was a tradition. But, it was a $150 tradition that took a lot of time, and mostly a lot of money. So, last time we ate at Cafe New Orleans, and loved it. We still got to sit down, eat tasty food and be on our way. Re-evaluate your traditions, it might be time for a change. 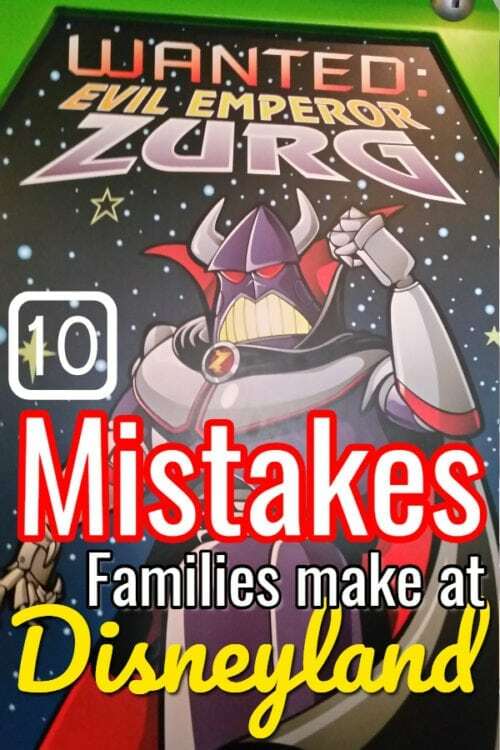 So, those are my 10 mistakes people make at Disneyland? 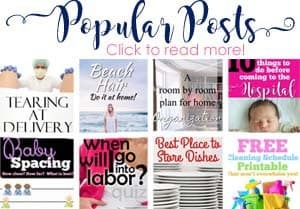 What did I miss, tell me below in the comments! 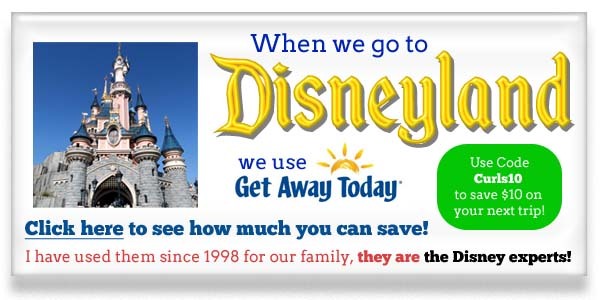 And, don’t make the mistake to not have enough cash — download my Disney Trip Calculator to save cash on your next trip (and check out my other Disneyland posts below that).